The larvae of the gall wasp Andricus callidoma cause galls to form on Oak. 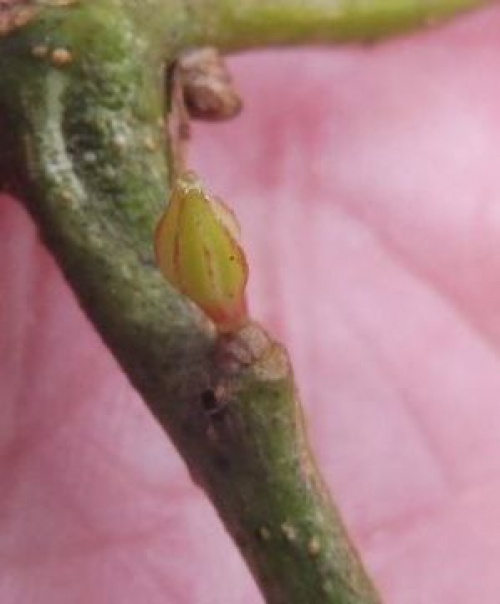 The gall emerges from an unopened bud. 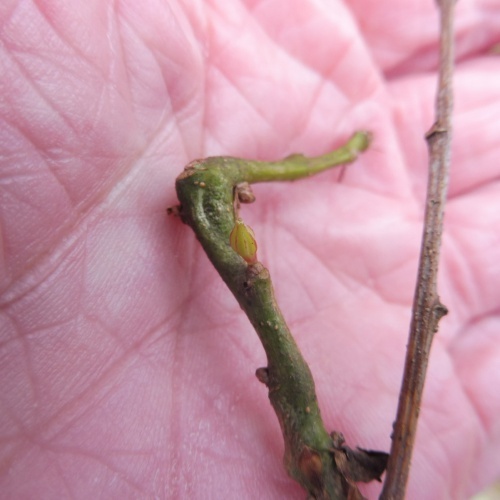 The stalk is 3 to 5 mm long and can be much longer, the gall itself is approximately 2 x 4 mm with a pointed tip. Uncommon and little recorded in Britain.